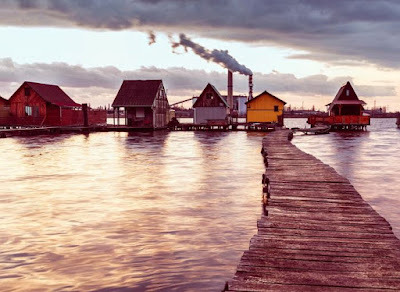 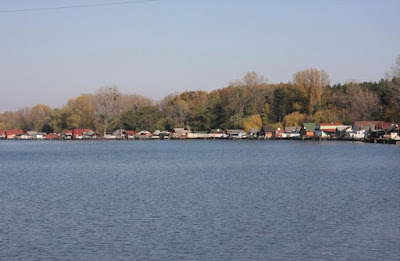 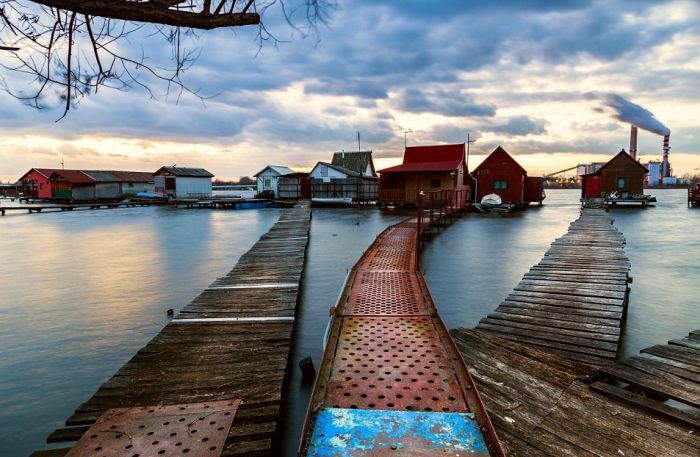 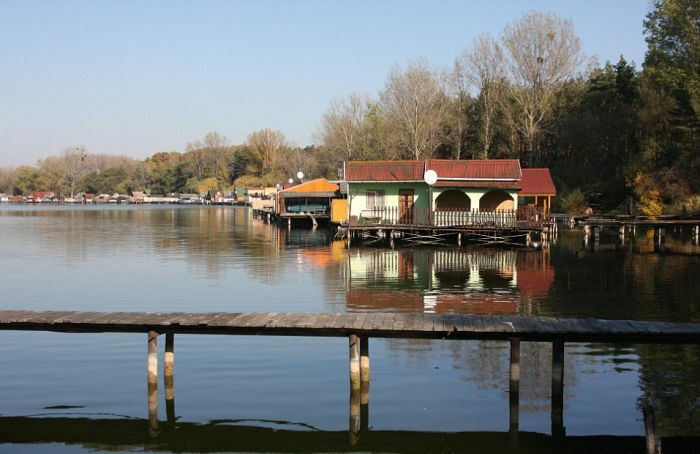 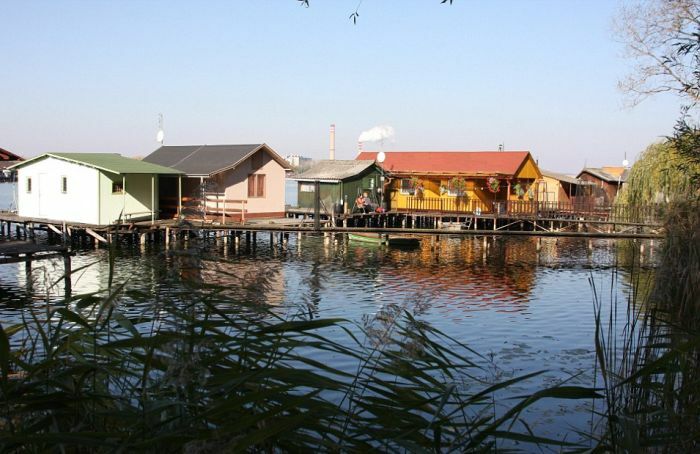 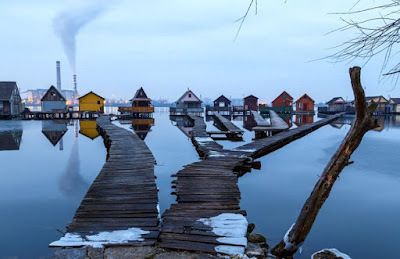 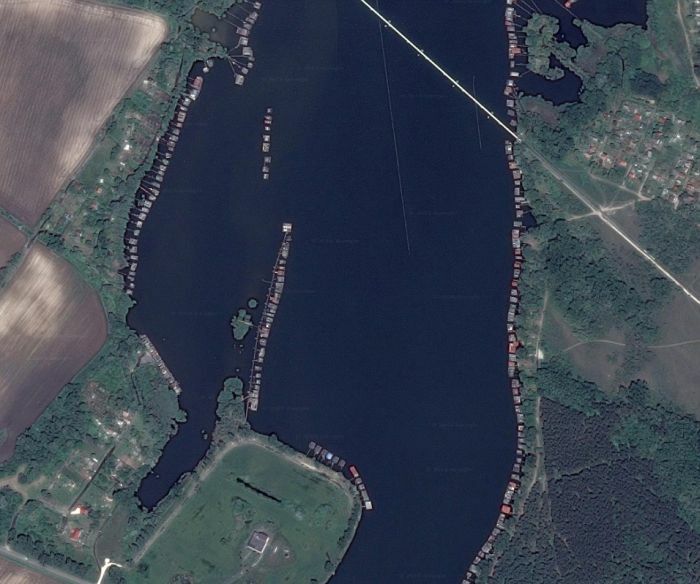 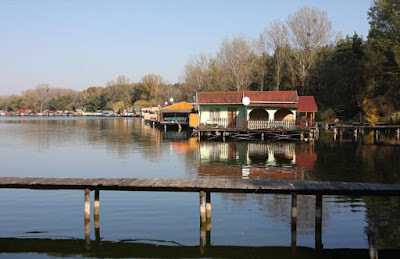 In Hungary there is a floating village that's a popular travel spot all year round. 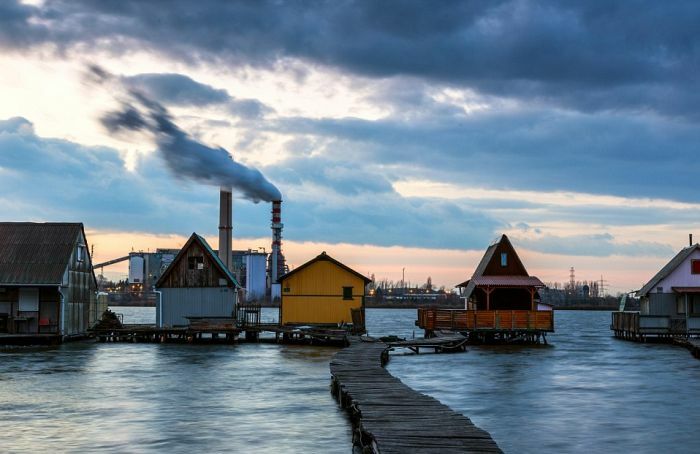 Besides the power plant in the background, it looks truly beautiful. The village sits on stilts and the lake never freezes because the power plant pumps warm water into it.